Preheat oven to 425° F. Cut fingerling potatoes into halves. In a cast iron skillet, combine potatoes, butter, olive oil, garlic, parsley, half of the parmesan cheese, salt and pepper. Stir and mix until potatoes are fully seasoned. 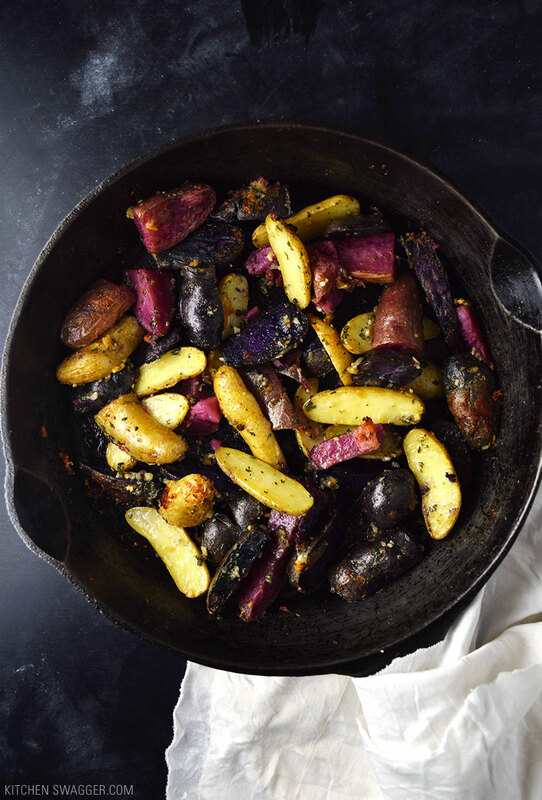 Place skillet in the oven and bake for 25-30 minutes, or until potatoes are slightly crispy and tender on the inside. (Should be able to easily pierce with a fork). Let cool for 5 minutes, top with the remaining parmesan cheese and serve.